Pensive, peaceful, resting cat... beautiful! What a sweet profile, Athena! Oh to be content as a cat. 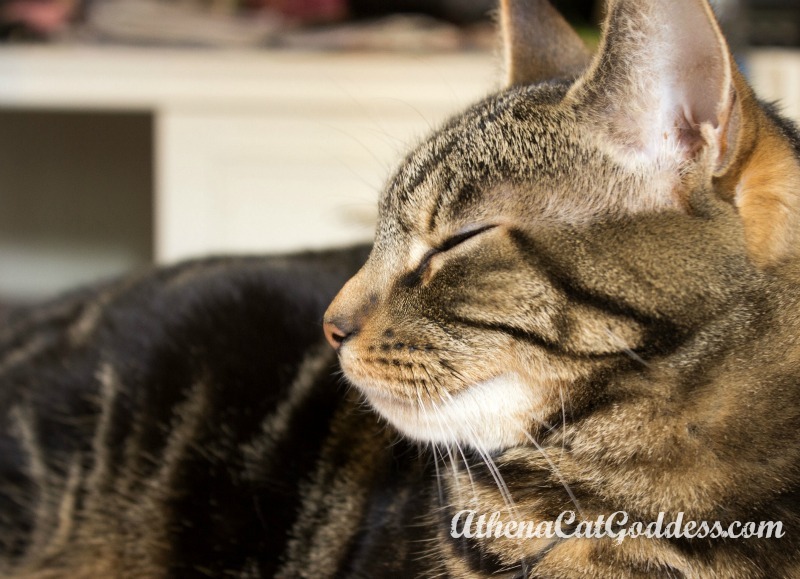 You look so peaceful, Athena! either you are deep in thought or you are upset about something! You look very content, Athena. You are right. It's a kind of smirk, isn't it? I have love, lots of treats and so much attention from my mum, so yes, very content! Athena, you are beautiful even as you dream :) I bet your Mommy can sit there and watch you sleep for long periods of time.